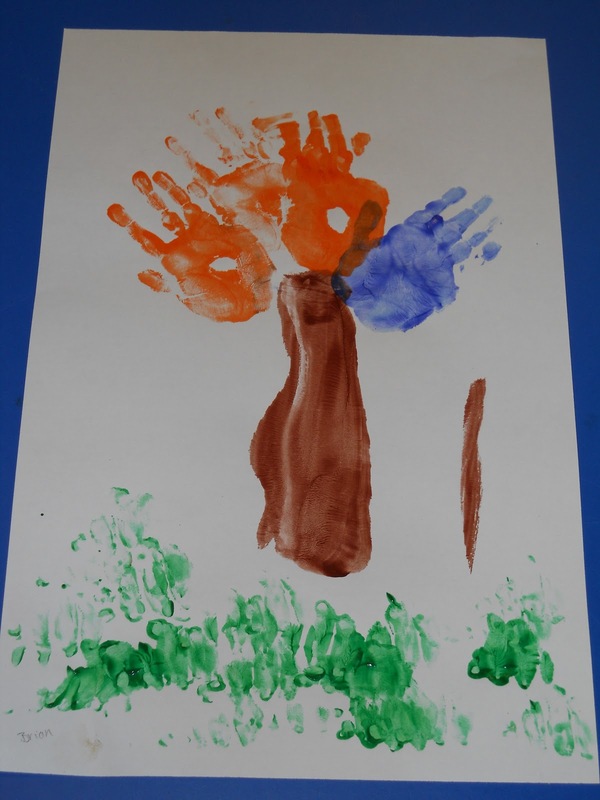 The trees in the orchards are in full bloom, so we have taken this opportunity to make blooming tree handprints. 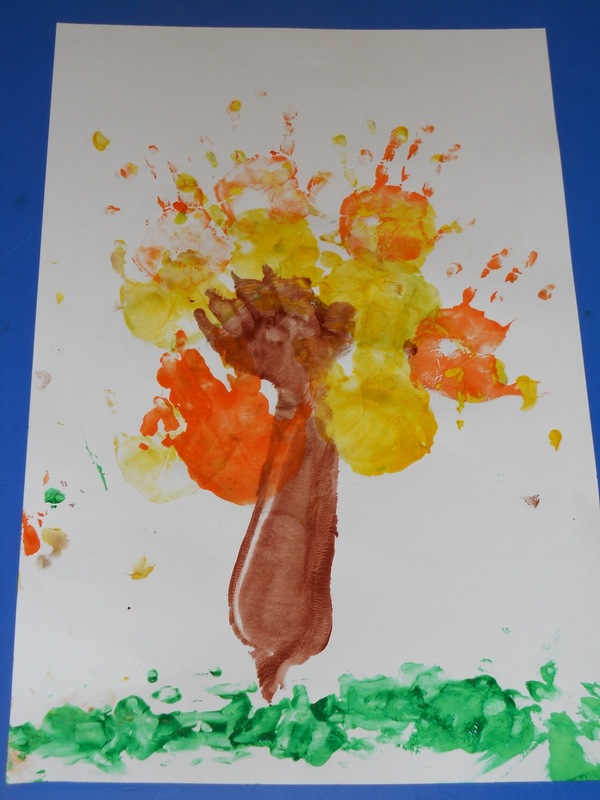 The children painted their arm and hand with brown paint and made a print with it. (Forming the tree trunk and branches) Once they rinsed their hands they came back and painted their hands with different colors of paint and made prints to form the blooms on the tree. 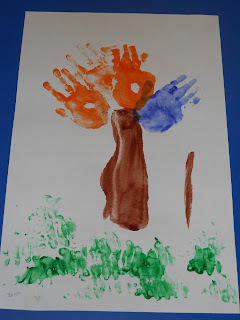 To finish it off the children used their fingers with green paint to form grass under the trees. If you do not want the children going back and forth from the sink, you can set a dish pan out with a small amount of water in it along with rags and towels.